In Italy, the regulation governing product safety is Legislative Decree No. 206 of 6 September 2005 (the Consumer Code), implementing both the General Product Safety Directive (Directive 2001/95/EC) and the Product Liability Directive (Directive 85/374/EEC). The provisions laid down in the Consumer Code apply to those products that are not covered by specific sector legislation (eg, toys, machinery, pharmaceuticals and food). The Consumer Code also complements the provisions of sector-specific legislation, where this does not cover certain matters as, for instance, in relation to the powers of the relevant government authorities in charge of safety issues. Under the Consumer Code, manufacturers must manufacture and market only safe products. The Consumer Code gives a generic definition of a safe product, which essentially reflects the definition given in Directive 2001/95/EC. According to the Consumer Code, a safe product is one that, under normal or foreseeable conditions of use, including duration, does not present any risk or only minimum risks considered acceptable and compatible with a high level of protection for consumer safety and health. the categories of consumers at risk when using the product, in particular children and the elderly. In any event, the possibility of obtaining a higher level of safety or a safer product is not, in itself, sufficient reason to identify a product as unsafe or hazardous. immediately inform the competent authorities of the member states of such risks, giving details, in particular, of the actions taken to prevent damages for consumers. Since many hazardous situations are recognised by manufacturers only as a result of an aggregated assessment of individual communications received from different distributors, in many cases the role of the distributor in ensuring compliance of the products with the applicable safety requirements is crucial. Pursuant to the Consumer Code, distributors must comply with essentially the same obligations as the manufacturers. In particular, distributors should not supply products which, to their knowledge or based on their assessment, in accordance with the information in their possession and in their capacity as professionals in the field, do not comply with the specified safety requirements. cooperate with producers and the competent government authorities in order to avoid the continuation of the risks and provide the documentation necessary for tracing product origin for 10 years from the date of distribution of the product to consumers. The main legal framework that manufacturers and distributors should take into account to identify how to fulfil the obligations to the market or maintain only safe products on the market are the guidelines adopted by the European Commission in relation to safety issues. In particular, Decision 2010/15/EU, issued pursuant to article 11 of Directive 2001/95/EC, establishes guidance for the management of the RAPEX system (the EU rapid alert system for dangerous non-food consumer products) and for notification, and represents the fundamental framework to which manufacturers and distributors must refer in assessing the level of risk posed by a product and filing the notification form accordingly. Following public consultation on the revision of the current legislation regarding safety products, the European Commission proposed a new Product Safety and Market Surveillance Package, consisting of a proposal for Regulations on Consumer Product Safety and a proposal for Regulations for Market Surveillance of Product, intended to replace the relevant provisions of the General Product Safety Directive, as well as non-legislative documents. The proposals are currently awaiting the Council’s position. Where there is a risk to public health, allowing prompt access to the relevant product traceability information and the ability to quickly locate the products represent the most important issues of any recall procedure. In fact, the easier the product traceability phase, the more successful the withdrawal or the recall of the product will be. The Consumer Code simply requires manufacturers to be able to trace the specific product, but does not provide for any special requirement; as a matter of fact, with the exception of some products, such as food and pharmaceutical products that are regulated by special provisions, the requirements for product traceability in general are essentially those dictated by the best European business practice in the field of product safety. In very general terms, the most common ways to trace products are batch numbers or barcodes or both at each level of product hierarchy and step in the supply chain. Manufacturers and distributors should also keep records of consumer purchases in order to detect product allocation more quickly. In the case of safety problems caused by a component delivered by a supplier, it is necessary to identify the supply reference number appearing on the components fitted in the product. According to the Consumer Code, placing dangerous products on the market or violating a ban issued by a government authority to market a product declared dangerous is punishable with imprisonment for up to one year and a fine ranging from €10,000 to €50,000. If a more serious crime is also involved (ie, injury or manslaughter), the relevant criminal provisions will also apply. Indeed, the Consumer Code does not provide for the application of any disqualification order (and the like) for the directors who fail to take steps to ensure that the products they sell or manufacture comply with mandatory product safety standards or are responsible of other trade practices breaches. 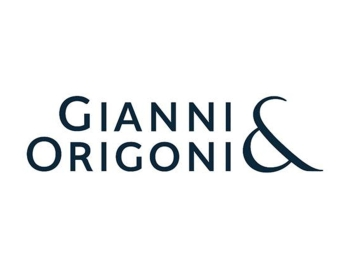 In connection with possible criminal liability, any Italian public prosecutor can commence an investigation regarding the unsafe nature of a given product provided that product is distributed or used within the Italian territory. In carrying out product safety investigations, public prosecutors may adopt measures such as the preventive seizure of technical documents to assess the technical qualities, performances or risks connected to any given product and, should it be found that the products may pose serious risks to public health, the seizure of that product throughout the Italian territory. Furthermore, failure to comply with the measures ordered by the competent Italian authorities can be sanctioned with fines from €10,000 to €25,000. Failure to cooperate with authorities in carrying out checks on products and in acquiring information and samples thereof can be sanctioned with a fine ranging from €2,500 to €40,000. Manufacturers or distributors that have discovered a defective product should notify government authorities by providing a full description of the risks that the products in question present supported by the results of the tests and research carried out, details of the hazard and possible health or safety damage and conclusions on risk assessment. Notification is not required in cases where the problems concern a functional quality of the product, not its safety, and in cases where the manufacturer has been able to take immediate corrective action. In order to avoid a proliferation of notifications to government authorities regarding the same product, those parties of the supply chain that know that the relevant authorities have already been informed and have all the information concerning the product are not subject to notification. It is important to point out that, in the event a product has been marketed in several member states and poses a serious risk for the safety of the consumers, manufacturers or distributors may decide to notify only Italian authorities if Italy is the country in which they are established rather than informing all the relevant authorities of the countries in which the product has been marketed, leaving the Italian authority to decide on whether to inform the other member states’ authorities through RAPEX-ICSMS. In any event, manufacturers or distributors that only inform the authority of the country where they are located should always provide this authority with available information regarding the other countries where the product has been marketed. After the notification has been sent, the government authority may require additional information, the submission of documents or may require further measures to be taken by the manufacturers or distributors. Usually Italian authorities require manufacturers to file any documents that show that the product has been manufactured in line with the relevant standard regulations (eg, certification that the product is in line with the ISO standard level and so on). Since the introduction of the ‘Business Application’ system in May 2009, it is possible to monitor the status of the notification in each country by informing online, at the same time, the competent authorities of the recall campaigns carried out. Should any accident occur, manufacturers have to provide the relevant authority with an account of the accident and a technical description to help the authorities to understand the level of the risk connected with the product and to evaluate the reliability of the assessment of said risk, as well as the measures adopted by manufacturers or distributors. According to the provisions laid down in the Consumer Code, notification to government authorities is mandatory for manufacturers or distributors when the products pose risks for consumers that are incompatible with the general safety requirements. When deciding whether a notification is required, manufacturers must assess both the probability of health and safety damage occurring and their likely severity, taking into account the factors that may affect the level of risk, such as the type of end-users. If, for instance, the product is likely to be used by children or the elderly, the level of the risk to be notified should be set at a lower level. In any event, the decision to notify should not be influenced by the number of products on the market or by the number of people who could be affected by the same, as these factors may be taken into account merely in evaluating the type of action to be taken to sort out the problem. If the overall level of risk is considered to be low depending both on the severity and likelihood of the possible health or safety damage, then manufacturers are not required to make any notification. A methodological approach for facilitating risk assessment, as well as the filing of the notification form, is suggested in the guidance provided by Decision 2010/15/EU, which clarified that the severity of the risks is based on a balanced combination of probability and seriousness of damage. In any event, the decision to file a notification remains - to some extent - at the discretion of the manufacturer. When the notification is required or appropriate, the manufacturer should inform the relevant authorities ‘without delay’ and in any event within the terms indicated in appendix 3 to the guidelines (ie, within 10 days of reportable information becoming available), in spite of investigations continuing on the products. If the risk connected to a given product is serious, manufacturers are required to inform the authorities ‘immediately’ and, in any case, no later than three days of their having obtained the information. When a product presents risks for consumer health, notification has to be sent to the relevant authority depending on the product in question. In Italy, the contact point for all safety issues, as well as for adopting the RAPEX system, is the Ministry of Economic Development. The notification should also be filed with the relevant authority according to the product at issue. If the product has been sold in several countries, the Ministry of Economic Development - upon a discretional evaluation of the risks connected with that product - will decide whether to forward all the information concerning the product to the other EU authorities through RAPEX. It is important to note that the Ministry of Economic Development and the relevant authority that is competent for the product in question operate independently. This means that any action or measure that manufacturers or distributors decide to take may be differently evaluated by the aforesaid authorities. In particular, the government authority in charge of monitoring the safety of certain products may require the manufacturer - based on its own experience - to adopt additional measures to those discussed and approved with the Ministry of Economic Development. a description of the actions taken to prevent risks to consumers and identification of the company responsible for the execution of aforesaid actions, their scope and duration. the number of products held by each member of the supply chain. The aforesaid information may take a long time to be collected. In any event, in case of a serious risk, manufacturers are required to provide government authorities with the information at their disposal without delay, while reserving completion of the form as soon as the data concerning the supply chain has been gathered. The Consumer Code does not contain any specific section concerning the obligation to provide authorities with updated information; this obligation is implied in the scope of safety regulations that stipulate that all products on the market must be safe products and if a product becomes unsafe, the manufacturers or distributors have to adopt any measure necessary aimed at consumer safety risk prevention. Furthermore, it must be understood that any safety procedure is necessarily a continuous process, which means that an initial assessment of the level of risk related to a given product may vary in light of results of new analyses, research or events occurring in the course of the adoption of the same safety measures. The relevant authorities must be informed when knowledge of any development of the case arises in order to evaluate if the original evaluation of the risk and the measures taken remain effective. In any event, it has to be remembered that authorities have extensive powers against manufacturers and distributors and they may also request - at any time - the supply of updates on the development of the case. Failure to comply with reporting and updating obligations exposes manufacturers and distributors to pecuniary (administrative) fines. However, manufacturers and distributors may also be sanctioned under criminal law should they fail to report to the authority any information capable of affecting the risk assessment originally submitted to the authority itself and the effectiveness of the measures taken accordingly. As a general rule, commercially sensitive information should not be disclosed to the public by the public authorities. In any event, pursuant to the general transparency rule of Law No. 241/90, access to certain pieces of information collected by a public authority has to be guaranteed to all persons having a relevant interest, including those who bring or defend a legal claim. This means that any consumer alleging to have suffered damage because of a given defective product may request that the government authority provides authorisation to examine the papers filed by manufacturers or distributors. The authority will decide to accept or reject - even in part - the request (which has to be duly founded) to access information and the authority’s decision can be challenged before the court. Should a consumer file a request before the government authority to access the papers provided by the manufacturer concerning the recall proceedings, the manufacturer would be informed by the authority of this request and it would be entitled to challenge the request in court. Any information notified to the authorities may be used in a criminal prosecution, both in favour of or against the manufacturer and/or distributor. For instance, in case the manufacturer is able to prove that, at the time of the offence, it had already warned consumers about the risks connected with the product and yet the injured party had freely decided to ignore the warning and use the dangerous product, this information may be used in order to reduce the extent to which the manufacturer may be held liable. assessment on the acceptability of the risk for consumers. Should the overall assessment of the above-mentioned elements present a serious level of risk, the measures to be taken usually consist of the recall of the product put on the market. However, deciding what action is needed may also depend on the actual possibility of adopting a specific measure in that case, as well as on the success rate of that action in previous similar cases. In any event, it is up to the government authority to require the specific corrective action it deems appropriate to the case at issue. Publication is one of the corrective actions that can be adopted by the manufacturer, or be ordered by the government authority, in cases where the product may pose risks for consumer health. The same is not directly required by law even though, in cases where the risk is serious and the traceability of the product is not possible or cannot be easily and quickly carried out, a press release may appear to be the most effective and sometimes the only suitable safety measure in order to preliminarily inform consumers of the risk related to a product. Requirements regarding the content of the recall notices may be found in ‘Product Safety in Europe’, which is a voluntary guide to corrective action including recalls drawn up by the most important consumer and professional associations with the support of the European Commission. This guide not only indicates the general requirements that a recall notice may contain but also provides some useful examples. a website address or hotline for further information. Usually, when manufacturers publish a safety warning in the press, the same should be published at least in one of the major national newspapers and, if necessary, depending on the allocation of the product, in a newspaper having significant local circulation. The specific media used to publish warnings or recall messages depends on several factors, including, without limitation, the level and the kind of geographical spread of the risk; the number and the type of consumers involved; and the timing. Timing is certainly the key factor pushing the manufacturer to adopt a particular measure rather than another. In case of serious risks, Italian government authorities always suggest a manufacturer issues a press release. Neither the Consumer Code nor the relevant guidelines provide for a specific target or periods after which a recall is automatically deemed to be satisfactory. In general, targets should be set in line with the seriousness of risk related to the product, the end users of the products and the possibility of contacting individual consumers. In several cases, in order to evaluate the result of a recall procedure, and to assess whether it may be considered satisfactory, it may be necessary to discuss the issue with the relevant authorities. By and large, it can be said that if the product recalled from the market does not pose a serious risk to the health of consumers, the government authorities may consider satisfactory a recall plan through which it would be possible to withdraw only a small proportion of products, if the manufacturers or distributors have adopted all possible measures to inform consumers of the risks. Even in this case, it is in any event advisable to subsequently provide the authorities with the relevant solutions adopted to avoid subsequent production presenting the same problems. On the contrary, if the risk connected with the product is serious and, in particular, if an accident has occurred, the government authority may consider the recall satisfactory only in cases where practically every single unit has been withdrawn or accounted for. In several cases, this may be materially impossible. In such event, should a serious risk exist for public health, then the government authority may decide to inform the public prosecutor’s office, in order to impose the seizure of each unsafe unit still on the market. The Consumer Code contains no specific obligations in this regard, also because its core purpose is consumers’ safety, while all aspects concerning the possibility to claim compensation for damages arising from defective products and breach of the sales contract are governed by the Civil Code. Leaving aside possible complaints or claims (for breach of contract, in tort or both) that consumers may bring against the manufacturer or distributor, approaching consumers and offering them some compensation or replacement may increase the success of a recall. In fact, the success of any recall procedure is at least partly based on consumers’ cooperation, as the manufacturer cannot force them to give the product back. Failure to undertake a recall or other corrective actions aimed at keeping dangerous products off the market is punishable by up to one year imprisonment, provided that no more serious offences are perpetrated (typically, injury or manslaughter), since in this event the relevant criminal provisions will also apply. Monetary penalties may also be applied. Pursuant to the Consumer Code, the relevant authorities must take all measures necessary to ensure that products on the market are safe. For this purpose they are entitled to indicate all the measures they deem appropriate and they can also order product recall from consumers and the destruction of the product itself. The Consumer Code provides that the relevant authorities should encourage and instruct manufacturers to voluntarily take all the safety measures necessary in a specific case. Therefore, all the safety measures, including warnings, are usually published by manufacturers with the supervision of the competent authorities. In the event that the authority finds that the manufacturer has not adopted sufficient measures to protect consumers, especially when the risk is serious and immediate and information to consumers is duly required, the authority may order a manufacturer to publish warnings or directly arrange for publication. In general, it can be said that the approach favoured by the authorities is for voluntary resolution of the problems connected with the products. This means that it is rare that the aforesaid authority will issue measures without the cooperation of the manufacturers or distributors. However, in some serious cases requiring very urgent action, the competent authority may decide and act upon a recall, where the producer or other responsible party has not yet done so. This action will be managed with the help of the judicial authority and the police. Any costs incurred by the relevant authority in relation to product safety issues are recoverable from the producer or manufacturer and, when this is not possible, from the distributors. The decisions rendered by the relevant authorities are immediately enforceable, but such decisions may be challenged and provisional stay of their enforcement may be required before the competent regional administrative first-instance court, the TAR. On a request for urgent measures, the TAR usually renders its decisions in a few days. In general, the publication of a safety warning or a product recall is likely to be viewed as an admission of liability for defective products; however, this does not mean that, should a litigation arise, the manufacturer or producer will always be condemned for the defectiveness of its products. when the injured party was aware of the defect in the product and the danger deriving therefrom and still voluntarily exposed him or herself thereto. The exclusion of liability only operates in the event that the defect was recognisable or evident and, in such a case, liability on the part of the manufacturer or producer is excluded. Italian law does not provide for US-style discovery proceedings, in which each party can access its counterpart’s entire internal documentation. Indeed, under certain conditions, during a civil proceeding the party might require the judge to order the other party to file and exhibit - in the course of the litigation - certain documents, which must be expressly and specifically identified by the requesting party. In light of the above, from a strict procedural point of view, communications, internal reports and the like would not be fully disclosed in product liability actions. In any event, as noted in question 10, it has to be pointed out that the injured party may have access to the documents filed by the manufacturer before the governmental authority in the recall proceedings, and consequently be in a position to file material evidence before the civil court. Furthermore, should a criminal investigation be started, as is normal when physical injuries are reported, the public prosecutor, while carrying out the investigations, has extensive power to collect all documents belonging to the manufacturer that he or she deems appropriate, including all the papers relating to the product. These documents will be available to the injured party during the course of the criminal proceedings. Therefore, from a practical point of view, it is possible - and in some cases usual - that the injured party may acquire overall knowledge of the papers relating to the defective product. Particularly worthy of note and to date the most relevant case in terms of product recall litigation in Italy relates to the aftermath of the affair internationally known as ‘Dieselgate’. After the recall of the vehicles involved on the part of the manufacturer, an Italian consumer association promoted two class actions in the name of the purchasers of said vehicles for breach of contract and unfair commercial practices, claiming compensation in the amount of approximately 15 per cent of the purchase price of the vehicles for each class member. Both class actions have been declared admissible and the trials are now pending. According to the press, more than 95,000 people have exercised their right to opt-in the actions and the aggregate value of the cases is reported as around €400 million, likely making them among the biggest class actions in Europe.